So you want to open a brewery? It’s a fundamental law of nature that every homebrewer will have drunkenly discussed turning pro. But what does it take to conquer the crowded craft scene? Matt Curtis finds out. Have you ever considered packing it all in and making beer for a living? There’s certainly never been a better time to be a beer drinker living in the UK. We’ve now got beer from almost 1700 British breweries to experience and enjoy – and that’s before you’ve even considered the wealth of imports available from mainland Europe, the United States and even Australia and New Zealand. But what motivation would you need to take your passion from drinker to maker and seller? 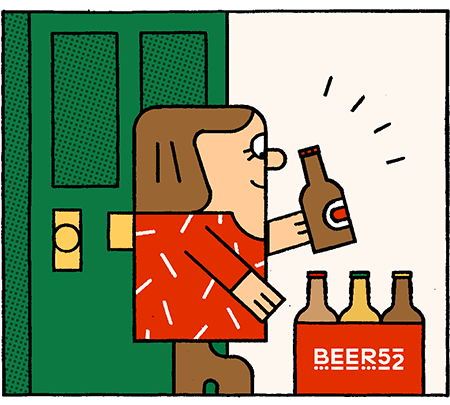 There are a few reasons why we UK beer appreciators have got it so good right now. For starters, we just love our beer here in Britain and the fact that we invest a great deal of time and money in beer in the first place means that there’s an opportunity out there for those that want to have a crack at brewing it. Secondly, we’re a nation of entrepreneurs. Setting up a business here in the UK is far from easy, but we’ve never let that stop us – and the volume of breweries we have in 2017 is testament to that. Another reason is the introduction of something called Progressive Beer Duty, or PBD for short. PBD was introduced in the UK in 2002 after countless years of campaigning by SIBA, the Society for Independent Brewers. Before its introduction, all breweries paid exactly the same rate of duty on their beer, no matter how much they produced. This discouraged small breweries from getting off the ground. Progressive Beer Duty gave brewers producing less than 5000 hectolitres a year (almost 880,000 pints) a duty relief of up to 50%. This relief is tapered up to production rates of 60,000 hectolitres annually. Once this figure is surpassed, breweries must cough up and pay the full rate of duty. Needless to say, this tax relief for small breweries has allowed the smaller part of the industry to flourish over the past 15 years, and is a big part of why our brewing scene is now so vibrant and diverse. However, for most people opening a brewery is about far more than just earning a living and making a profit. The truth is that unless you’re able to produce millions of litres of beer, it’s a very difficult industry to make any money in. So why do so many people do it? Simply put, it’s because making beer is very gratifying work. There’s nothing quite like putting (not literally) blood, sweat and tears into a product which people then enthusiastically enjoy drinking and conversing about, plus they’re happy to give you money for it in return. Andy Parker was working in the tech industry until he founded Elusive Brewing in Finchampstead, Berkshire in 2016. Before starting Elusive he was an avid homebrewer, picking up several awards along the way, which was in part what gave him the impetus to launch his own operation. He also wrote an eye-opening series of articles detailing the ins and outs of opening a brewery on his blog www.graphedbeer.com. I caught up with Parker to find out exactly how it felt to take the plunge. “When we launched the brewery, the feeling was one of excitement tinged with trepidation and fear I'd done something really stupid,” Parker says. “It took a long time to reach the decision to go for it, as I'm naturally risk-averse. I think because of that, I forced myself to spend a lot of time weighing things up and researching my approach. Before launching his own brewery, Parker had the opportunity to collaborate with some existing brewers. One of his most successful beers is a Nelson Sauvin-hopped imperial saison known as Lord Nelson, which was first brewed in partnership with Weird Beard Brewing in West London. These existing links with the professional brewing industry allowed Parker to establish a relationship within the industry, but also share its channels to the consumer. If there’s anything that symbolises exactly what craft beer is in the UK, then it’s the camaraderie shared between breweries such as these. It should come as no surprise then, that Elusive shares the same trading estate as Siren Craft Brew – a handy friend to lean on when hop shipments are late or you need an extra sack of malt for a certain brew. Parker is also well aware of the advantages his homebrewing triumphs gave him when founding Elusive Brewing. There are many stories just like Parker’s of homebrewers finding the passion, drive and funding to turn brewing into a career. However, as competition in the market intensifies thanks the increasing prevalence of breweries vying for shelf space newcomers often need an increasingly complex set of skills and experience to successfully launch a brewery. Theo Freyne established Deya Brewing in the town of Cheltenham last year. His brewery has quickly picked up a buzz thanks to a range of very on-trend, hazy and super-juicy IPAs and pale ales such as the brewery’s flagship Steady Rollin’ Man. The brewery taproom is usually jam packed with trade on a weekend, which often sees the brewery sell out of its signature 500ml cans. Freyne opened Deya after studying a masters degree in brewing and distilling at Edinburgh’s prestigious Heriot Watt University. After graduating, he spent three months in Fort Collins, Colorado, where he refined his new trade at Odell Brewing Company. I asked Freyne if he thought his qualifications and experience put him at a particular advantage when he launched his brewery. As with Parker, and many other brewers who now make beer professionally, Freyne’s initial foray into brewing was as a homebrewer. However, he chose to take his passion into further education before making the leap, which arguably put him and his brewery at an advantage. But this didn’t free him from some of the challenges that arose when trying to get the brewery up and running. Another experienced pair who recently launched a brand new brewery in the UK is Alex Troncoso and his partner, Annie. The duo launched their brewery, Lost and Grounded, in Bristol less than a year ago. Troncoso has a formidable amount of brewing experience under his belt, primarily from an eight-year stint at Aussie brewery Little Creatures but he also spent 18 months as Director of Brewing at London’s Camden Town Brewery. As well as being an accomplished brewer Troncoso is an engineer by profession. He used his expertise to design an ultra-modern German designed and built brewery at their home in Bristol, which Lost and Grounded uses to make its artfully constructed modern riffs on classic Belgian and German beer styles. Lost and Grounded received the financial support of its former colleagues at Little Creatures, which helped the brewery to invest in its impressive setup. Troncoso was refreshingly candid when he spoke of the relative advantages this investment gave his fledgling business. It was also reassuring to hear that establishing a brewery with great experience and a solid backing is no less fear inducing. These three breweries might have all started their journeys in different ways, but they have a surprising amount in common – a focus on quality beer driven by an immense passion for it. It’s difficult to say where these breweries will be in ten or even five years time. The best way to get an idea would be to take a closer look at those that have already walked this path. Although I can see Brodie’s point, I find parts of it difficult to agree with. From my viewpoint I see a vibrant industry that’s going through a tumultuous period of change but I also still see plenty of opportunity for new talent to make their mark within the beer industry. Someone like Andy Parker at Elusive Brewing is the perfect example of this, and he’s up for the challenge.